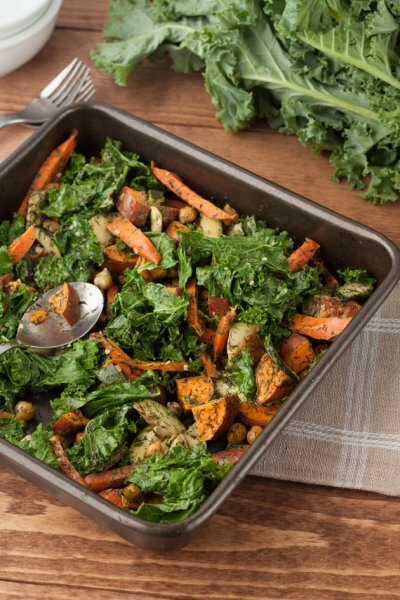 Warmed kale surrounded with fresh veggies, roasted to perfection with a garlic sauce. 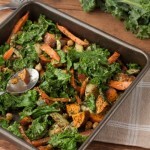 Preheat oven to 375F and spread sweet potatoes, carrots, zucchini, chickpeas, dill and coconut oil on a baking sheet. Roast for 25 minutes or until sweet potatoes are tender. Add kale and continue to cook for 5 minutes. Remove from the oven, add remaining ingredients and stir to coat.